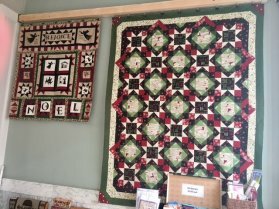 All in stock regular price quilt kits and wool kits are 25% off! If you aren't local but would still like to save - check out our website www.sewblessed.us and give us a call 308*344*9389! We would love to share the savings with all of you! December 2nd & December 3rd, grab a punch card at a local participating business, get it stamped at all the shops, then be entered to win one of many prizes! We've been feeling a little bit festive around here! 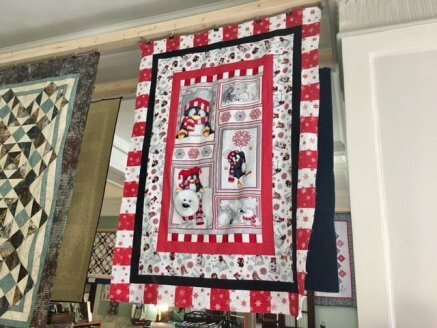 Check out these gorgeous Christmas & Holiday quilts on display in the store! 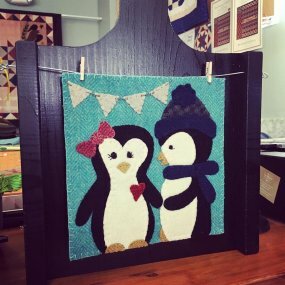 We hope you will stop in to see them - pictures really don't do them justice! 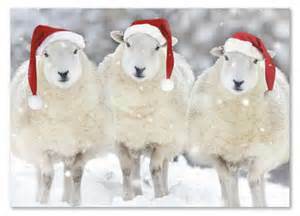 Woolie girls tomorrow is your day - meet in the shop at 10:00 am for a fun filled sew-in! Bring a pot luck item if you plan to stay for lunch! 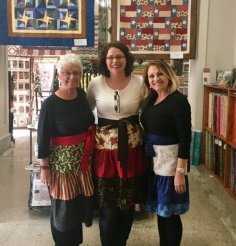 The quilting ladies are here and ready to help you this weekend! We hope you will stop in and say hello! Goodies and tea are being served! Blessings to you!